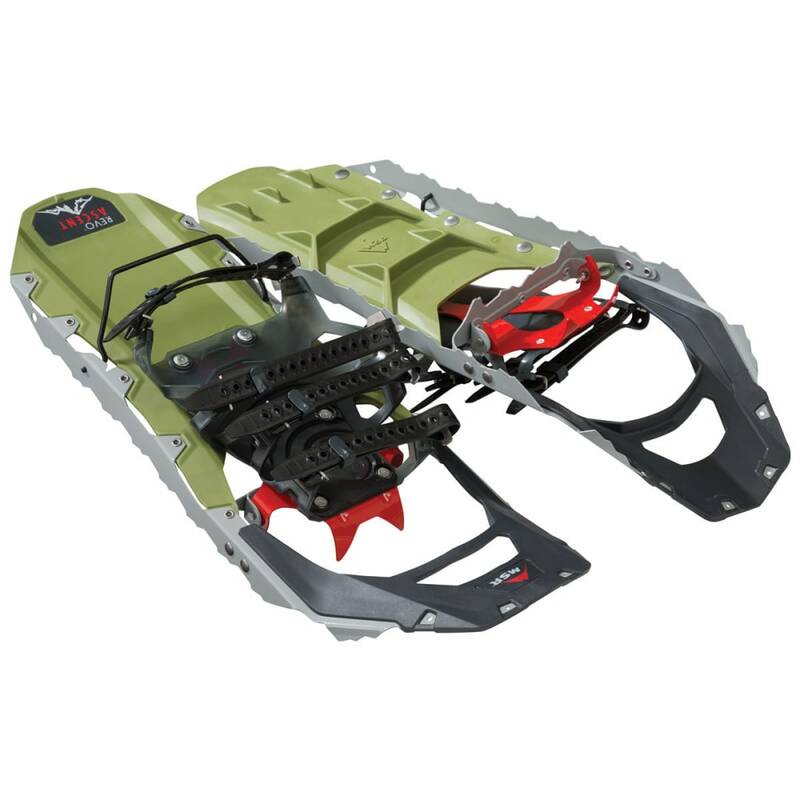 MSR’s new rugged Revo Ascent snowshoes are engineered to take you anywhere you want—or need—to go. That confidence starts with their ExoTract™ deck, which combines external steel teeth for gripping the contours of any slope, with supreme durability, and the torsional flex of plastic for excellent purchase. 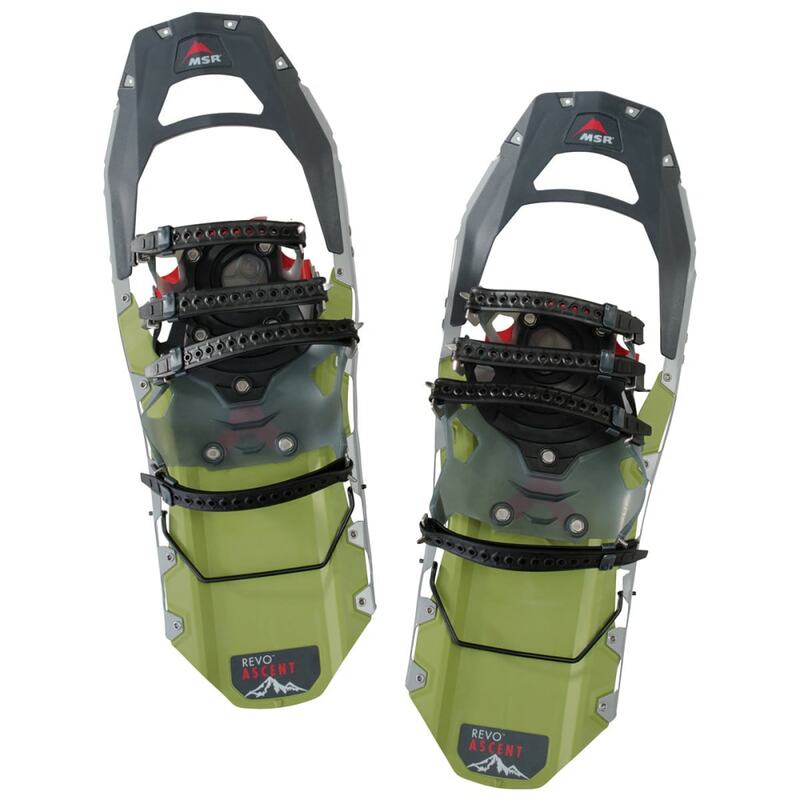 Steep terrain demands the security of PosiLock™ AT bindings and Ergo™ Televators heel lifts, while the snowshoe’s reinforced nose withstands kickstepping on ascents through any conditions. Weight per pair: 4 lb. 1 oz. Load: Up to 180 lb. Load w/ tails: Up to 250 lb. Avg. Weight (pair): 4 lb. 1 oz. Dimensions: 8 in. x 22 in.